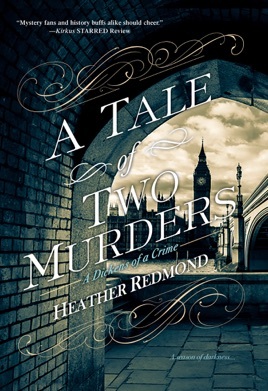 Set in 1835, this languid series launch from Redmond (the Redcakes series) turns Charles Dickens, then a journalist for the Evening Chronicle, into a detective with mixed results. A dinner at the home of his editor, George Hogarth, is interrupted by a scream from a neighboring house, where Dickens and George's fetching daughter, Kate, find that 17-year-old Christiana Lugoson has suffered a collapse that will soon prove fatal. When the reporter learns that 17-year-old Marie Rueff died under similar circumstances exactly a year earlier, he suspects foul play and investigates the possibility that both were poisoned. His unimpressive probing, aided by Kate, yields multiple suspects with motives including hatred and greed. Redmond's opening line (" Epiphany is truly the best of times,' Charles Dickens exclaimed") sets the tone, and she makes sporadic efforts to evoke Dickens's style throughout. Readers interested in fictional depictions of Dickens that insert him into a mystery plot will be better served by such books by Dan Simmons and William Palmer. This was fun, to read each day at bedtime. 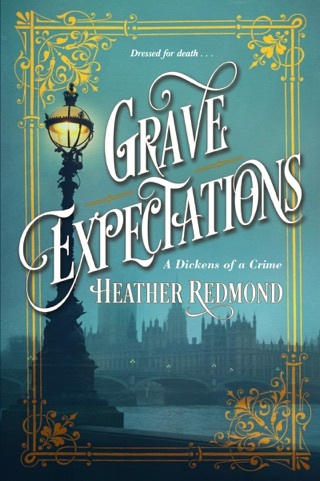 I appreciated all the descriptive details of the period; the author did Dickens Proud! I felt like I was transported back two centuries.